From contemporary hair designs to classic coiffes, the Moda Enzo family of salons has long had an eye for cutting-edge beauty. We believe your hair should not only complement your lifestyle, but actually become the very focal point of your personal style. After all, nothing makes you feel more beautiful than a reliably fashionable and infinitely perfect hairstyle. Whether you need to look your best for an evening engagement or you simply want to pamper yourself, let us consult with you for an incredible look. We pride ourselves in using only the best, and would like to extend this opportunity to you, as well. All products used in the salon are available for purchase, so you can bring a little salon pampering into the comfort of your own home. 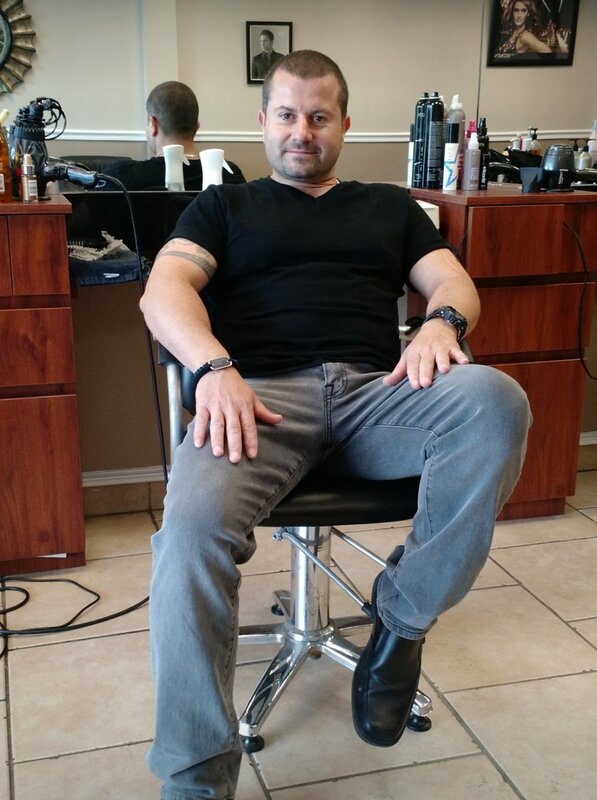 Enzo has 20 years of experience from salons in Italy, New York and Connecticut. He travels back to Italy frequently for courses on the latest trends, techniques, and technologies available, sharpening his skills and fueling his passion for creative appeal. Far from home, but still close to an Italian heritage full of fashion and style, Enzo is determined to bring a taste of the best to Greenwich.